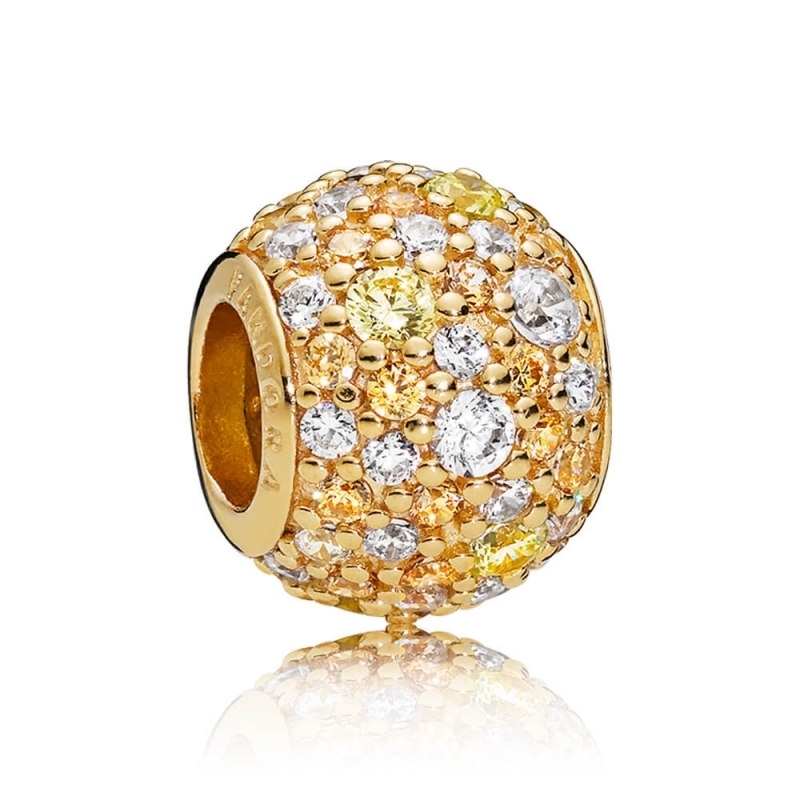 PANDORA Golden Mix Pavé Ball Charm. Bask in the everlasting glow of this stunning pavé charm. Made from 18ct gold-plated sterling silver embellished with clear and warm yellow cubic zirconia stones.